You may have noticed in my previous posts about the needs and requirements of 1:1 paperless devices that I did not mention “management/maintenance” as an important consideration. The priority for choosing a device is the educational experience; the #1 priority is to improve learning and productivity, and all other factors (including pricetag and IT management) are, in my opinion, secondary to this primary goal. Even though they are still very important, it doesn’t do much good to get a device that is “cheap” or “easy for tech support and maintenance” if the device isn’t very useful in the classroom. There is not an “unmanageable” device. Every major category of device — Mac, Windows, iOS, Android, Chromebook — is manageable; it may simply be a matter of different methods and (sometimes) additional software or systems that may be necessary. I am going to start by pointing out some of the IT setup/management/maintenance benefits and limitations of each of the above , and then explain some ways that Windows devices can, in fact, be fairly easy to manage and maintain — no more difficult than iPads, Android tablets, or Macs. Windows 8 Windows is used on nearly 90% of devices out there (source: NetMarketShare), and has been used as an enterprise solution for many years, and thus has a lot of support by IT departments and various software programs to help cloning of devices, standardization of machines, account profiles (Active Directory, etc. ), and monitoring tools.On the other hand, this long-standing and widespread use also tends to cause Windows to be more of a target for hackers and malware. Windows has long had a reputation for some issues, including susceptibility to virus, spyware, or other malware. Windows 8 is far more stable and secure than previous versions, but these are still valid concerns. iPads (iOS) Generally speaking, iOS is a much “simpler” operating system than full-fledged computers like OS X or Windows. This simplicity eliminates a lot of loopholes and headaches that could occur, allowing the appearance and installation of apps to be more standardized and streamlined. However, this “walled garden” approach can also cause some management headaches — especially when it comes to installing apps on multiple devices. iTunes accounts can be tricky to manage, and installs on multiple devices can be tedious and time consuming, although there are now specialized tools to simplify this process. Having acknowledged the challenges of each popular 1:1 solution, we can see that there are always considerations to keep in mind — and there are always solutions to each problem, some may just take more time or specialized software than others. Classroom Device Management / Monitoring software (optional), such as SMART Sync a.k.a. “SynchronEyes.” There are a few different programs that will allow you as a teacher (or an admin) to be able to see each student’s screen, track their behaviors and activities on the devices, take screenshots or broadcast student or teacher screen to other devices, send and retrieve quizzes, polls, or files from students, set filtering and restrictions for apps or websites that are accessible to students, and more options. This type of software is not necessary for a 1:1 or paperless classroom, but it can certainly be nice to have. Would using Bluetooth keyboards be a problem?? This last question is what really kept me up at night, and the reason why is because hybrid devices like the Tablet 2 offer a bit of versatility in the variety of configurations you can go with. This sounds like a good thing — and it can be — but it means the complexity of decision-making is increased, because you are not only considering the main device (the tablet), but also the peripherals you will need to go along with it. For example, without a keyboard or stylus pen (and maybe even a mouse, for desktop-style computing), a Windows tablet isn’t much better than an iPad or Android (although at least it can access 100% of websites, unlike the Android and iPad). However, even when considering something as simple as a mouse or keyboard, there are a variety of options to choose from. The Tablet 2 — like other similar tablets — has both a USB port (but only one!) and built-in bluetooth for wireless connectivity. At first thought, wireless (bluetooth) may seem like a great solution for a classroom; who wants wires everywhere, tangling things up and getting in the way, anyway? But it’s not that simple. For one thing, wireless devices to not get their electricity from the computer like a USB peripheral would, so they must be charged separately. It’s difficult enough to set up a good way to charge the computing device itself, so adding a second device that needs to be charged complicates things further… and what do you do if it runs out of batteries in the middle of a project? Another problem is a scientific one: Bluetooth works by hopping around different frequencies in the 2.4 GHz range. This range happens to be the same as the frequency used by most wifi signals (802.11b and 802.11g, for example). Since the Bluetooth keyboard is constantly changing frequency (and because it has a relatively weak/short range), this helps it prevent interference with signals from wifi and other bluetooth devices. However, the more devices you use in a given space, running in the same frequency range, increases the likelihood of interference. So, Bluetooth offers some benefits — ease of use, lack of wires to tangle or snag — but also some serious drawbacks to consider: they must be periodically charged (usually with internal batteries), and if you put too many of them in one space (like a classroom) you can run into problems of signal interference, which could slow down typing or receiving wifi packets/data. These are the kinds of thoughts that keep you up at night, especially when you decided to go ahead and bite the bullet and order the $110 Lenovo ThinkPad Tablet 2 keyboards. Ease of setup and compatibility with the device; since it is designed to go with the Tablet 2, it works fairly well as a stand to set up the device as a “laptop” format (although I would never recommend using it on your lap), and simplified the procedure of setup. Now, I was up at night in a cold sweat double-guessing that decision, both because of the excessive pricetag and the potential problems. So… what were the alternatives we could have used? 1) Instead of going with the expensive Lenovo keyboard, you could opt for a different, less expensive Bluetooth keyboard designed for tablets. This would have presented some of the same problems (battery charging, potential interference), but at least would have a more reasonable pricetag. That’s where the dilemma came in. We could save about $100 per student — and avoid the Bluetooth issues — just by using a cheap case with built-in USB keyboard! We ended up deciding against this option, simply because the durability of these super-cheap keyboard cases was questionable — the USB cable is thin and flimsy, and the keys are compact and possibly could break or fall off. Additionally, the fold-out stand means that the case falls flat much more easily than the Lenovo keyboard/stand does. Were these potential headaches worth it? This all just goes to show you that, when you are considering using tablets, the decision is not as simple as just picking “the right device” — you have to consider how you will address all of your needs, and this can include things like keyboards, mice, display systems (monitors, projectors), or other peripherals you will likely need to use in a 1:1 classroom. * I do need to note, however, that two of the 30 keyboards don’t seem to be able to connect to the tablets. They turn on and blink once, but do not continue to blink showing that they are transmitting/waiting for Bluetooth sync, and they are not being detected by the tablets. Could it be that a small percentage of these Lenovo devices are DOA/lemons? The needs of my classroom — a self-contained, multiple-subject, 6th grade classroom — are varied and run the gamut from reading, writing, and research to science labs, art projects, and video production. I need a device that can be used for typed documents and standard “computer” purposes, can access every online educational resource available to us (including Flash or Java ones), but in going paperless I also need one that allows for writing, drawing, art, and multimedia production. In other words, I need a device that can do it all. I want my students to be able to have their cake and eat it, too. This is where hybrid or convertible devices shine. 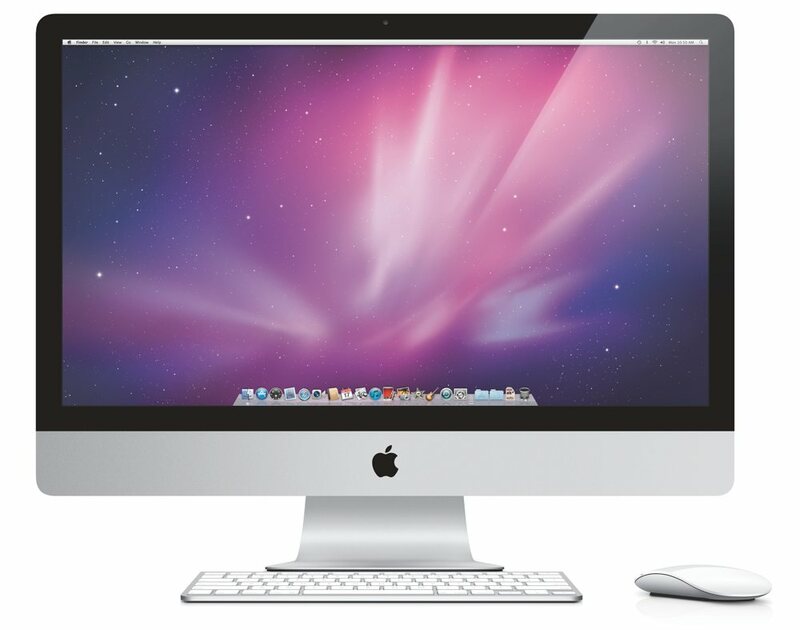 With touch screens, accelerometers, built-in cameras — and sometimes active digitizer pens, as well — these devices allow you to get any of the benefits of a tablet, but they also feature full-fledged operating systems that allow for the unrestricted website access, productivity software, and keyboarding capabilities of a laptop or desktop computer. But even in the subcategory of hybrids/convertibles, there are a lot of different options: some are touch-screen ultrabooks with larger screens and full-powered processors; others are netbooks (“netvertibles”), with smaller screens and less powerful processors, but much better battery life; while others primarily take a tablet format, with long battery life and built-in cameras, but keyboards must be added or attached separately. There are even different operating systems available on these devices, but the vast majority are running Windows 8. Access 100% of websites, including Flash, Java, Silverlight, etc. My first inclination was actually not to use a tablet-format device. Because online research and typed document creation are such essential parts of the 6th grade curriculum, I felt it would be preferable to have a device with keyboard attached (while still including touch-screen tablet and writing/drawing capabilities.) There are actually very few options in this configuration; most of the devices that have active digitizer pens are in tablet format. This is a “netvertible” (convertible netbook that can also be used as a tablet) that was designed from the start to be used by children and schools. As such, it has lots of classroom-friendly features, including ruggedized casing, spill-resistant keyboard, and installed software apps for IT management, teacher administration, and classroom activities including camera applications and art/drawing software. There’s a lot to like here, and I love the idea of the Intel Classmate PC: a device that “does it all” and specifically addresses the needs of students and teachers in a classroom. Unfortunately, the execution and hardware decisions involved in architecting this device prevent it from being a viable choice for my classroom, due to sub-par built-in camera (less than 1 megapixel resolution) and, especially, insufficient battery life (4.5 hours). 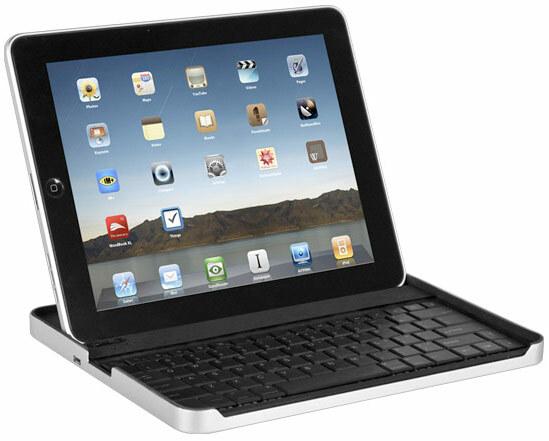 Rugged, child-proofed design: built-in handle, durable casing, spill-resistant keyboard. The Samsung ATIV Smart PC 500T is a very similar device to the Lenovo ThinkPad Tablet 2, with many of the same benefits and drawbacks. The pricetag of the Samsung was more attractive — especially when considering the cost of keyboard. However, the build quality of the ThinkPad has received much higher marks and better reviews than the 500T, which has had some reports of various issues and questionable durability. It would have been nice to have a more powerful processor for full-fledged computing capabilities without lag or limitations. One device that would make that possible (while still offering tablet capabilities, keyboard, and active digitizer) is the Microsoft Surface Pro. The Surface Pro essentially has the exact same hardware as a full-fledged laptop or ultrabook — it features a Core i5 processor, the same chip found in a Macbook or Mac Mini. But it also works as a touch-screen tablet, and has an active digitizer for accurate writing and drawing with pen. The more powerful processor has also translated into a higher pricetag (though still more affordable than a Macbook, and on par with top-end iPad), and more importantly, low battery life. However, looking into the future, the next generations of Surface (or similar device) may be the ideal classroom solution, because the newest processors (such as Intel Haswell line) will be full-powered chips with much better energy efficiency, resulting in all-day battery life. USB, HDMI, SD card, etc. 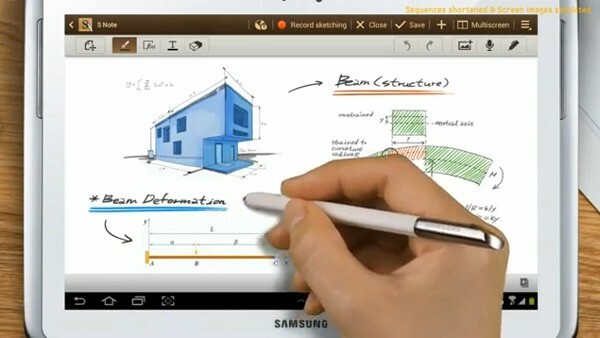 The Galaxy Note 10.1 is an Android tablet like many others, but a big difference is that it includes the S-pen active digitizer which opens up opportunities for precise, accurate, and natural writing and drawing, similar to this above devices. 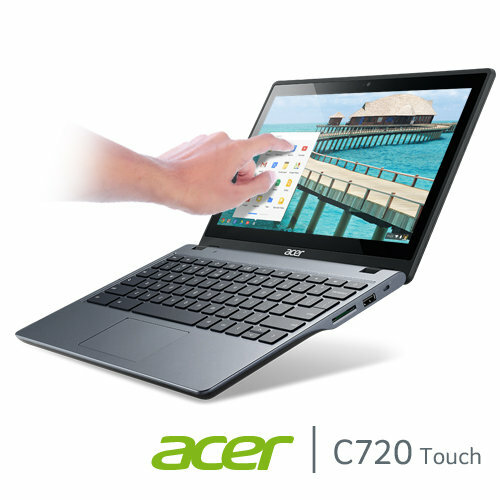 In this way, it is similar to the ATIV Smart PC 500T, but running Android instead of Windows. The iPad was one of the first — and also one of the most popular — tablet devices being used in schools. For this reason, and because there are many apps available, it can be a tempting choice for a 1:1 classroom. You could certainly try a paperless classroom with iPads — it will likely work better as a paperless solution than a standard netbook, ultrabook, or Chromebook would, due to lack of any writing/drawing capabilities at all on those devices. However, there are several limitations that make it less than ideal and cause some tasks to be difficult… and others impossible. Choosing the best device (or set of devices) to meet all of the needs of a paperless classroom is, perhaps, the most critical piece of “going digital.” As such, it requires some serious due diligence, homework, and consideration of all of the possibilities — and limitations — of the myriad technology options out there. Identify a list of possible tools you could use to meet those needs, and evaluate each possible solution to find the one. I’m going to present these 2 steps in reverse order, by showing all of the possible options that exist and then whittling them down as we go through the list of needs for a paperless classroom. The variety of available technologies to use in school has never been greater than today. There are various types of devices that meet different needs: not only desktop computers, but now smartphones, tablets, laptops in a variety of formats (ultrabooks, netbooks, etc. ), and even hybrid/convertible devices. Despite the fact that I just went ahead and listed the variety of possible devices you could use for 1:1 computing in your classroom, it is not a good idea to choose a device first and then figure out how you are going to use it. What sense would that make? All right, I’m ready to fix that toilet! Of course not; it would be a waste of money, and if you were trying to build a deck, you would be better served by a hammer or electric screwdriver or table saw, or all of the above. On the other hand, would you buy these tools if you were trying to repair your toilet? As I’ve discussed in a previous post, one great benefit of a paperless classroom is that it can actually save you money (or, at the very least, pay for itself) in the savings you reap due to not purchasing textbooks, Xerox machines, paper, pens, pencils, paints, art supplies, etc. However, this is only true if a cost-effective device is selected. Keep in mind, technology devices do not last forever; regardless of type or brand name, laptops and mobile devices last only about 4 years before they should be replaced either because they have worn out* or simply grown obsolete. So the cost per device always should be an important consideration. It’s difficult to state an exact price point, because it may depend on individual circumstances and needs at your school. Generally speaking you can find a device that does everything you need in a classroom for $600 or less (unless you need a powerful, specialized computer, such as for HD video editing, professional music production, or creating 3D graphics and animation), so that seems like a reasonable cap, although spending less would be even better. Most classrooms at most schools were not designed for modern technology, and do not have the electrical infrastructure and power outlets distributed effectively around the room, enough for each student to plug in an entire class set of devices. Thus if you want to have a true 1:1 paperless classroom, right now the only real solution for many teachers is to obtain a class set of portable, battery-powered devices that can make it through the entire school day (6.5+ hrs) without being plugged in. Document creation is important in school. It always has been, and it always will be. You can see evidence of this all the way back to the days of ancient Greece. Despite the new advances in technology that allows for media literacy and production, there are some things that visuals, audio, and video just can’t convey. There will always be a place for written words because, unlike concrete images/movies, words have the power to be symbols of vague, ambiguous, complex, or connotative ideas. This was all taken into consideration and is why, despite adding elements of media literacy, the Common Core standards still have an enormous focus on writing. This means any 1:1 device will want to have decent document creation software students can access. For a long time, the standard has been Microsoft Office… you can also download and install a free version of MS Office tools called OpenOffice. Many schools are now opting for cloud computing to do this, using Google Docs/Drive. This can be a great solution, but requires the school to have significant internet bandwidth; it is also more limited on iPads. They have also placed an emphasis on using technology to do that writing. Students are expected to create typed documents using keyboarding skills… starting in 3rd grade! The implication of this is obvious: keyboarding is an important skill to have, and being able to create typed documents is essential in a classroom. Having a virtual, touch-screen keyboard does not replace the need for a physical keyboard; studies by Google and Opinion Matters have shown that using touch-screen keyboards both slows down the text input and is the #1 cause of frustration for tablet users when trying to type longer documents (500 words or more). The implication is clear: all students (other than those in primary grades, K-2) need access to a physical / mechanical keyboard. The best keyboards will be those for desktops, laptops, ultrabooks, and some convertibles. 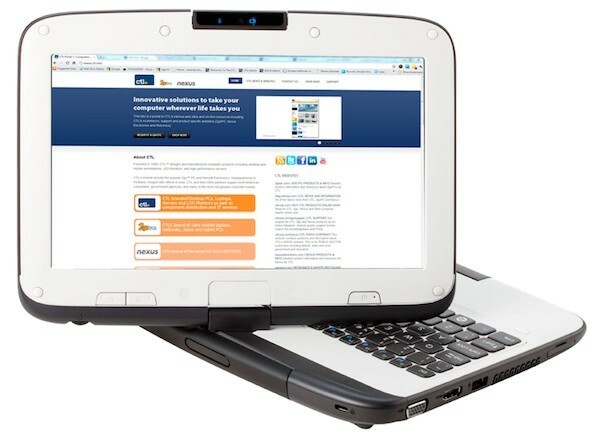 Tablets also can benefit from separate keyboards (wireless bluetooth ones or, preferably, USB-connected ones); however, this does add an additional expense and also makes management more difficult as there are 2 devices to manage per student, whereas netbooks, ultrabooks, and convertibles have the keyboard attached. Typed documents are not the be-all and end-all of student production. Students can demonstrate knowledge, help other students, and make genuine contributions to society via authentic products such as artwork, websites, audio recordings (podcasts etc. ), animations, and videos. This ability to create relevant, useful products and be able to publish and easily share them with the world did not exist 20 years ago, but now it is an essential 21st century skill for being real-world ready in our increasingly global, competitive, and collaborative environment. Most computing devices will allow us to create multimedia products, but some may be more difficult and require additional peripheral devices like handheld cameras or microphones. This also complicates the issue of device management, so ideally a 1:1 solution would be one that includes a decent built-in camera that can be used not only for web conferencing (which is what front-facing cameras on laptops are used for), but also for digital photography and videography. In this regard, tablets have the advantage. Netbooks and ultrabooks tend to require additional cameras to be purchased, and Chromebooks are even more limited, because the vast majority of Chromebook-accessible media production apps specify in their Terms of Service that they can’t be used by students under 13 years old; in fact, I haven’t been able to find a single decent video editing app that is allowed to be used by elementary-school students on Chromebooks. Chromebooks also require transferring very large video and photo files through the web to work “in the cloud”, which requires large amounts of bandwidth. sometimes good old-fashioned handwriting, sketching, and note-taking are essential activities. What this has led to is a paradigm in which schools and teachers are incorporating educational technology, but merely using it to supplement the existing books and (especially) piles upon piles of lined notebook paper and printed worksheets. This is not a great solution, both from a monetary standpoint and an environmentally-conscientious one: These classrooms are actually creating an even bigger carbon footprint by using both paper materials and technology! Why supplement those materials when you can entirely supplant them? The type of stylus pen you would use with this type of screen has to have a broad, rubbery tip — you cannot get a fine pinpoint tip like you would with a pen or pencil; this makes handwriting clumsy and unwieldy. It is the equivalent of trying to write with a rounded, unsharpened crayon. While that may be okay for primary students, it becomes a problem as we need to write larger amounts, more quickly, and fit more words into a small space. In addition to lacking precision, capacitive stylus pens for iPads (as well as most, but not all, Android tablets) also do not have pressure sensitivity. This may not be required for many tasks, but it greatly benefits the natural, intuitive feel of “going digital” with various art media, such as using pressure sensitivity to control pencil darkness, airbrush/ink flow, and texturing effects. All of these problems are solved by using a device with an active digitizer. An active digitizer is a type of stylus system in which a special layer under the screen detects the pen. The active digitizer stylus has a fine tip like a pen or pencil, but never needs to be sharpened. It can be used with pinpoint accuracy, and is usually pressure sensitive, up to hundreds or even over 1,000 levels of pressure sensitivity. It can even have an “eraser” button on the back that is used just like a pencil eraser. It is detected when it hovers above the screen; this, in addition to a clickable button on the pen, allows it to serve the same functions a mouse would serve, and opens up possibilities for efficient shortcuts and menus in the applications. Some people might wonder: Why do we need handwriting and drawing at all, if we have more advanced tools that we can use to communicate, such as typed text, audio, and video? The fact of the matter is that being able to manipulate handheld writing and drawing utensils allows us to very quickly jot notes, combine thoughts and ideas with images, and to create and label diagrams. You could do some of these things with a mouse and keyboard, and the final product may even look more polished; but it is a longer, slower process. Examples of when handwriting and drawing prove invaluable are: observation journals, science logs, and notebooks, where sketches and notes must be quickly recorded, possibly with drawings, diagrams, and labels to accompany notes. There are also certain tasks which are greatly enhanced by precise stylus control — including creating artwork, graphic design, and photo manipulation. Finally, using this system also allows for an easy transition to digital format, because teachers can use or reuse existing materials — they can simply download PDFs (many curricula provide these online), or scan their existing sheets and materials as a digital, virtual copy which can then be written on directly in the computer. Desktops and ultrabooks are going to be best for this, although Android and Windows tablets almost always have at least one USB port. iPads do not have a USB port; they can work with some peripheral devices, if those devices have been designed specifically for iPad, but that selection of peripheral devices is much more limited. 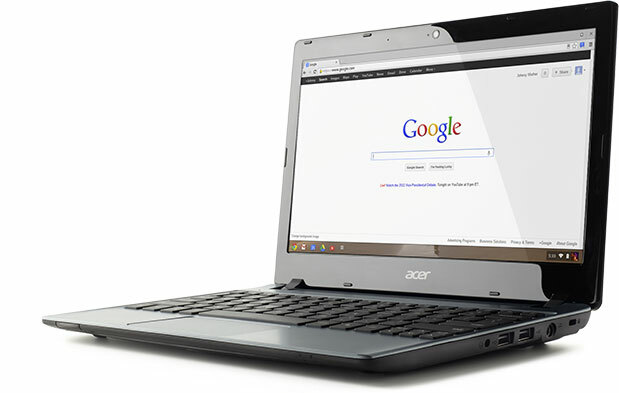 Chromebooks have USB ports, but devices that require Mac or Windows to install software will not work. As you can see, there are many considerations to weigh when choosing a 1:1 device, and it gets even trickier if you are trying to go truly paperless in your classroom. There is no single device that is the best solution for all of these needs — each has its strengths and weaknesses. Some classroom tasks (such as ebooks and digital photo/video work) are better served by tablet format, while other tasks (such as document creation, web browsing, and using peripherals) are a better experience on laptops. A classroom is often a complex place, with many different types of tasks and purposes to fulfill — this is especially true of multi-subject classes, such as in elementary grades — and we want to ensure that we choose a device that can meet all of our needs. This really limits the selection significantly. In the next post, I will explain about which device I chose, why, and some other alternatives I considered. * I own a 15-year-old IBM ThinkPad laptop that is still functional, but not in a practical sense (battery no longer holds a charge, and monitor screen has given out); I also have an 8-year-old Toshiba Portege which I still use, but it would not serve me well as a primary device. 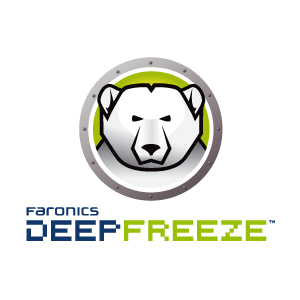 ** New processors are coming out very soon that are more energy-efficient versions of the current powerful processors, such as Intel’s Haswell chips. In the near future, we may just see devices that provide full-fledged computing power and all-day battery life, so if you can wait to decide on a device, it may be wise to hold off until summer of 2014. *** Some apps do have “hand detection” but really all this does is prevent second or third touches from affecting things once you have already started writing or drawing with the stylus. Once you lift the stylus, or if your hand touches the screen before the pen does, it becomes a problem.